Dosa (crispy savory pancakes) South Indian breakfast which is now popular across the globe – masala dosa is a fermented rice pancake stuffed with a spiced mashed potato topping. It is often served with a coconut chutney and sambhar, but it tastes great just by itself too. 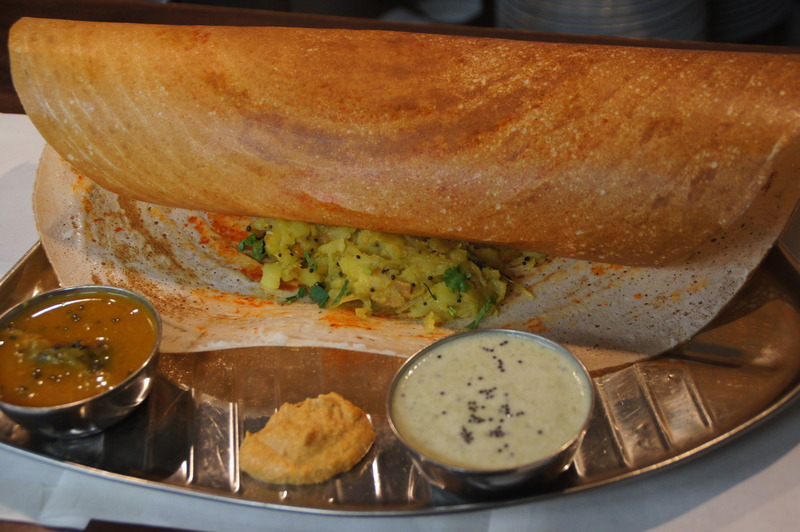 This one has become one of the more basic dosas amongst the array of varieties available today!.